with Original B&S, HONDA or CHINESE engine Garden Loaders. 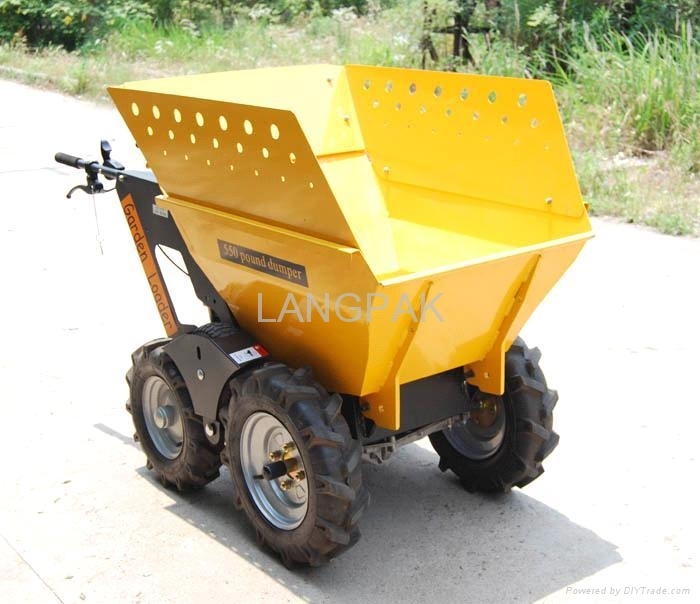 Garden Loader is a kind of small dump-truck. It is widely used in loading sand, soil, stone, mud, wood, fodder and brick, scoop snow, etc.